A teenager from East Putney has secured a role in E4's popular teen drama Skins. 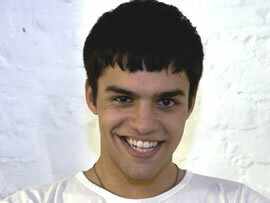 Sean Teale, aged 18, was told this June that he had got the part just after he had finished his exams at Latymer School in Hammersmith. He said, "I got the part the day before my birthday so it was the best birthday present I could have ever hoped for! It's really strange to think I'm part of this new series. It hasn't really sunk in that I'm in the cast yet. So far I've had the best time filming. I'm having fun and I'm so lucky to be part of this incredible legacy!" He will be deferring his place at Manchester University where he was planning to study History and Economics to take this opportunity. The first episode in the news series will be shown on E4 in January.